Dr Maratos has over 30 years of professional experience in cosmetic, general and restorative dentistry. Dr Maratos and his team are passionate about all facets of dentistry and will care for you every step of the way. Being self-conscious about your smile can have a significant impact on your personal and professional life. 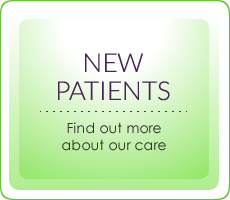 We are committed to helping patients improve their lives by providing the very best dental treatments and services. Through our range of dental treatments we can help you transform your quality of life through aesthetic satisfaction which can help you feel more confident. We offer a full range of general dentistry and cosmetic dentistry services to keep your mouth healthy and looking spectacular. We even look after those dreaded dental emergencies, so you can maintain peace of mind at all times. We emphasise a ‘whole-of-life, whole-of-body’, integrated approach to dentistry. Neuromuscular dentistry explores the connections between dental health and total body well-being, and the relationship of your musculoskeletal system and the way your teeth and bite fit together. We take a keen interest in children’s dentistry, to ensure that good dental habits start early. We can also diagnose and treat patients who suffer from persistent headaches and snoring and sleep related conditions such as obstructive sleep apnoea in Melbourne. Led by Dr Ian Maratos, our dedicated and talented team of dental professionals ensures that your experience is memorable and enjoyable. We love to see how our treatments can lead to positive changes in self-confidence and self-esteem for our patients. DesignDentistry is interested in discovering ways that we can optimise your overall health, in partnership with you and your other health professionals in all disciplines. DesignDentistry is a contemporary dental practice, focused on the art and science of enhancing your smile. We care for your teeth, cosmetically and functionally, and we are dedicated to helping you recapture the smile you once had, or the smile you have always desired. We provide the most current information to educate you about everything that is possible in dentistry today. 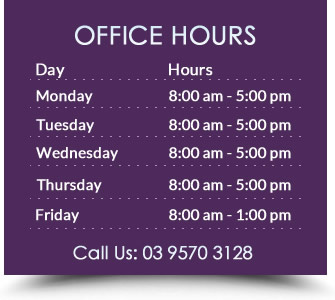 Contact our dental clinic today on (03) 9570 3128 to schedule your appointment with Dr Maratos, Dentist Bentleigh East, and our experienced team of professionals.